Here’s what’s up in the world of TV for Wednesday, June 14. All times are Eastern. 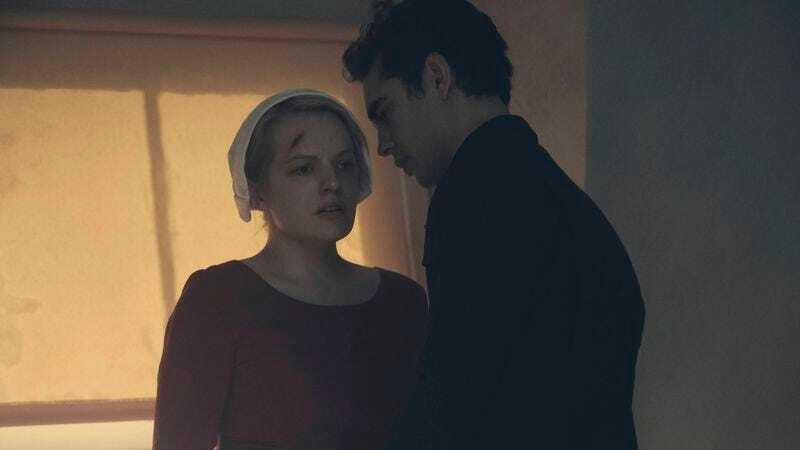 The Handmaid’s Tale (Hulu, 3:01 a.m.): It’s been visually striking, narratively gripping, and often very, very difficult to watch, but Hulu’s breakout success wraps up season one with its 10th episode. But much like its enduring protagonists, The Handmaid’s Tale has already been renewed for season two. Allison Shoemaker will bid this impressive first season a proper farewell, and some of our A.V. Club writers will offer one last Handmaid’s roundtable for the season later this morning. Amazing Monkeys (Smithsonian, 8 p.m.): It’s all about monkeys—and not to spoil the show, but this new series from Smithsonian Channel thinks the animals are pretty impressive. Equal parts history lesson and adorable close-ups with monkeys, the show “tells the primate narrative through intimate monkey encounters, stunning wildlife photography, field demonstrations and a CGI family tree. Four mighty monkey dynasties are uncovered: prosimians, Old World monkeys, New World monkeys, and apes. Each group has split from one another over centuries, and each has its own story of epic migrations, lost lands, mass extinctions, marooned beasts and incredible animal characters.” That’s already more than we knew about monkeys, and we haven’t watched a second of it yet.